Tech Mahindra IT company profile: Complete details and official website details are gathered and a collection of information is given below about software company Tech Mahindra. 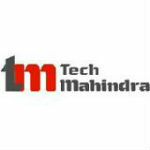 Tech Mahindra is an Indian Multinational Company established in the year 1986. It is a part of the Mahindra Group. They offer service under various categories like Business Support Systems, Network Design and Engineering, mobility solutions and testing. They have implemented 18 GreenField operations worldwide. This companies placement papers also available in our interview guide portal. Do you know the other Bangalore IT firms & their addresses? Director -> Dr. Raj Reddy. – Certified as ISO 9001 company. – Inaugurated new office at United Kingdom. – Re-Certified as ISO 9001:2000 company. – Acquisition of Axes Technologies. – Acquisition of IPolicy Network Private Limited. – Announced the merger of Tech Mahindra and Mahindra Satyam. – Won the Golden Peacock Innovation Award. – Won the Microsoft Communication sector Partner of the year award in the year 2011. – Won the award for Excellence in Training for the year 2008-09. – Frost & Sullivan recognized Tech Mahindra for its growth and Excellence in the year 2008. Tech Mahindra has the work force of 50,479 employees as on 2013. Reference: Wikipedia & Tech Mahindra website.